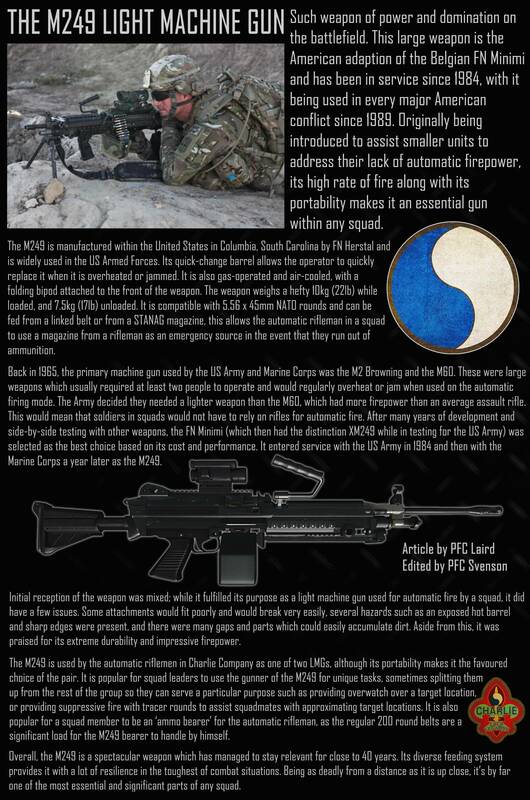 Good read PFC, nice to see you know your weapon. Nice one PFC! proud of you. M249 best thing ever made. Yep, this is definitely a great weapon, even as an SL, I try to use it whenever I can, it's just a great weapon to have! Good job, PFC Laird! Nice read (and poster!). M249 is bae and it saddens me that the United States Marine corps planning on replacing them with the M27 IAR, but oh well. Keep up the articles on these awesome weapons! Good read. M249 is most certainly my favorite gun in arma, it's just a portable power house of death. Good read, Belgian arms ftw!